The Oxford Global Justice Lecture was recently established by the Oxford Law Faculty, as an annual lecture to be delivered each year by a leading figure in international law. 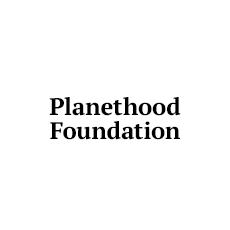 The lecture series is generously supported by the Planethood Foundation. The 2017 Oxford Global Justice Lecture was delivered by Fatou Bensouda, Prosecutor of the International Criminal Court at 5.00pm on Thursday 12 Oct 2017 in the Sir Joseph Hotung Auditorium, Hands Building, at Mansfield College. This was the first event hosted by The Bonavero Institute of Human Rights which formally opens its doors this term. How does the pursuit of international criminal justice contribute towards the ends of peace? Should justice be sequenced to cater for peace processes or can a workable harmony be found to advance both these virtues? This lecture will aim to answer these important questions, more specifically within the Rome Statute legal framework. Dr. Fatou Bensouda is the Prosecutor of the International Criminal Court (ICC), having assumed office in 2012, the first woman to have assumed the role. In 2011, she was elected by consensus by the Assembly of States Parties to serve in this capacity. Dr Bensouda was nominated and supported as the sole African candidate for election to the post by the African Union. Between 1987 and 2000, Dr. Bensouda was successively Senior State Counsel, Principal State Counsel, Deputy Director of Public Prosecutions, Solicitor General and Legal Secretary of the Republic, and Attorney General and Minister of Justice, in which capacity she served as Chief Legal Advisor to the President and Cabinet of The Republic of The Gambia. Her international career as a non-government civil servant formally began at the UN International Criminal Tribunal for Rwanda, where she worked as a Legal Adviser and Trial Attorney before rising to the position of Senior Legal Advisor and Head of the Legal Advisory Unit (2002 to 2004), after which she joined the ICC as the Court’s first Deputy Prosecutor. Dr. Bensouda has also served as delegate of The Gambia to, inter alia, the meetings of the Preparatory Commission for the ICC. She is the recipient of numerous awards, including the distinguished ICJ International Jurists Award (2009), presented by the then President of India P. D. Patil; the 2011 World Peace Through Law Award presented by the Whitney Harris World Law Institute, the American Society of International Law’s Honorary Membership Award (2014), the XXXV Peace Prize by the United Nations Association of Spain (2015), and the Praeis Elit Award (2015). In addition to receiving several honorary doctorates, Dr. Bensouda has been listed by Time magazine as one of the 100 most influential people in the world (2012 & 2017); by the New African magazine as one of the “Most Influential Africans;” by Foreign Policy as one of the “Leading Global Thinkers” (2013), and by Jeune Afrique as one of 50 African women who, by their actions and initiatives in their respective roles, advance the African continent (2014 & 2015).